A few years back, Walter Räss, the cheesemaker behind the legendary Challerhocker (and it’s delightfully terrifying label), came and visited our caves. With him he brought some wheels of cheese. We held onto it in the caves, aging it as an experiment. It turned out so well that it became one of our Cavemaster Reserve products: Annelies, named after Walter’s wife. 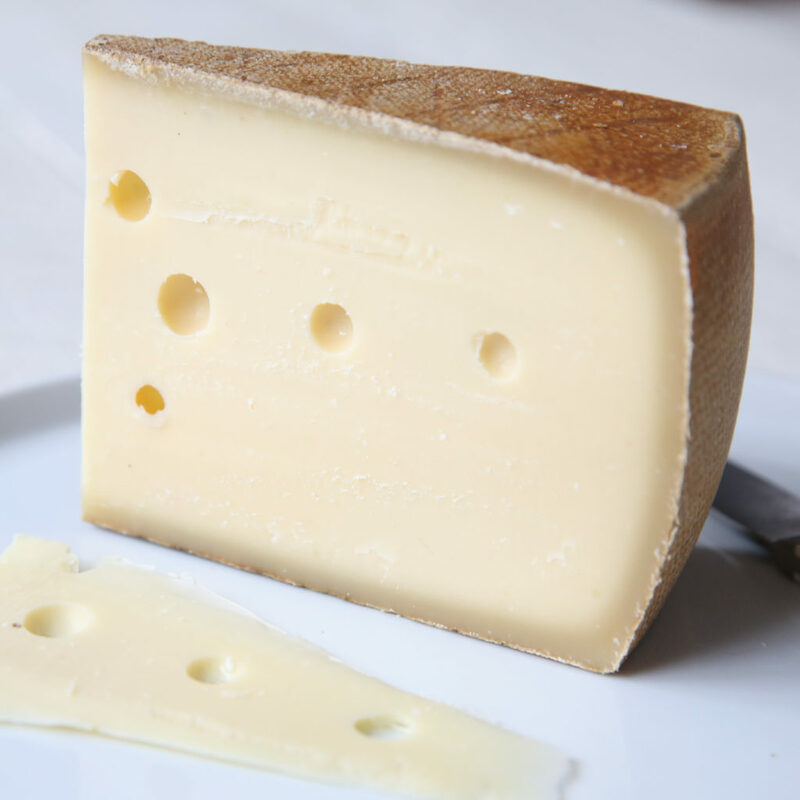 As Walter is an alpine cheesemaker, Annelies is an alpine cheese. And it’s quite an excellent one at that, with flavors of roasted hazelnuts, vibrant alpine grasses, lush butterscotch, and bittersweet cocoa. Typically we age it from 9-12 months. But what would’ve happened if we just let Walter’s wheels continue to age in our caves? If we never decided it became so delicious at 9-12 months that we needed the world to know about it? What would happen if, say, we continued to wash, flip, and age this cheese for double the amount of time? What would a two year Annelies taste like? No need for such a question to go unanswered, we figured. Our caves team reserved some wheels and kept doing what they do to them for twice as long. The result: our newly released Two Year Annelies. So, what does an extra year in our caves do to such a cheese? At two years, Annelies takes on an even fuller flavor and develops a richness of those ever-lovable cheese crystals. Simply put, if you like Annelies, you’ll love 2 Year Annelies. If you love Annelies, well then 2 Year Annelies might just make you faint with joy. Though we’ve been making Annelies for a few years now, it’s never actually gotten the chance to turn two until now. So we figured we’d celebrate by throwing Annelies a birthday party. Like any good birthday party, this one needed to have ice cream. And considering Annelies’ profile of butterscotch, cocoa, and hazelnut, a thought came to us: what if, for Annelies’ second birthday, we made Annelies ice cream? Reader, that’s exactly what we did. Well, not us per say. We know cheese, but we don’t claim to know ice cream in the same way. There are others who do, though, like our friends at OddFellows Ice Cream Co. in Brooklyn. So we told them our idea, and they dreamed up a recipe. It’s sublimely rich and creamy, with that unmistakable Annelies taste. Frankly no ice cream is quite like this, but after trying it you’ll wish that more were. Why stop there, though? 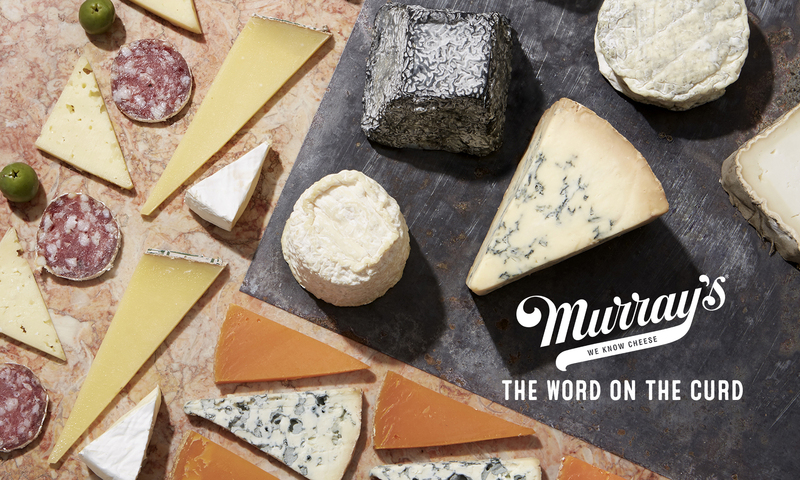 We love this cheese so much that a bowl of ice cream simply does not feel a sufficient way to celebrate it. After all, it took Annelies several years to turn two. This is quite a feat. One deserving of something like a one-of-a-kind sundae. 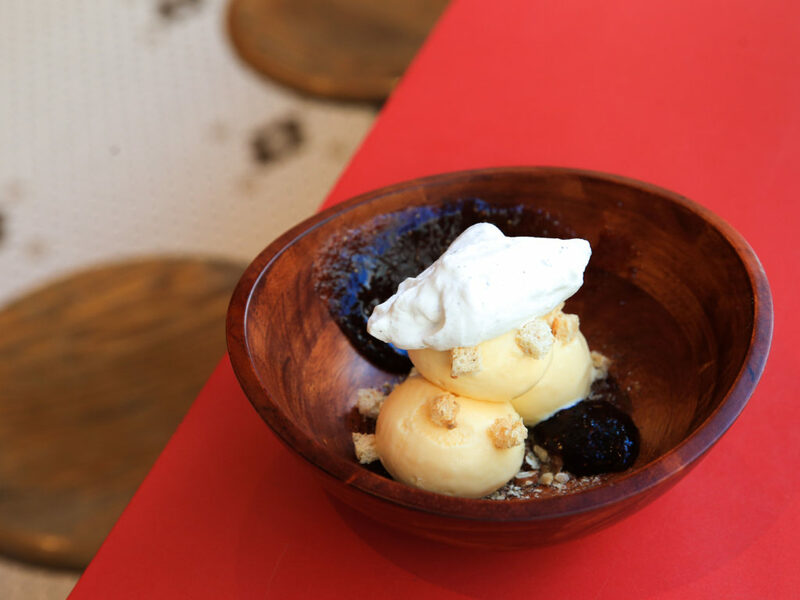 And that’s just what we made: an Annelies sundae with fig jam, candied walnuts, and peppered whipped cream. It is decadent. It is indulgent. It is splendid. You can celebrate Annelies’ second birthday, too! Over on our Great Taste page, we’ve shared the recipe, including how to make the ice cream itself in your very own home.